This chapter was presented first in a conference on “Destruction: Archaeological, Philological, and Historical Perspectives” organized by Jan Driessen at Université Catholique de Louvain, Louvain-la-Neuve, Belgium in November 24-26, 2011. I started my exploration of fire and house-burning in the wattle-and-daub buildings of Neolithic Southeast Europe (5000 BC) (Tringham 2005). When I began working in the much older early ceramic Neolithic mud-brick buildings of Central Anatolia at Çatalhöyük (7000 BC), I assumed that the question of burning would not be a significant research question, as is demonstrated by the Berkeley Archaeologists@-Çatalhöyük (BACH) project (Tringham and Stevanović 2012). In this chapter, I will show how miscalculated that assumption was. I had forgotten James Mellaart’s Great Fire at the end of his Level VIA at Çatalhöyük (Mellaart 1964: 115-117). As it turns out the recent excavations at Çatalhöyük shed a great deal of light on the nature of destruction of houses by fire in prehistory, especially when considered alongside the data from Neolithic Southeast Europe. In this paper I explore the reason why fire might be chosen as a means of destruction of places, be they urban or rural, public monuments or intimate domestic places. And how can and do archaeologists and historians act as arson investigators many centuries (and millennia) after the event to determine whether the destruction is an act of domicide or of domithanasia (accidental or intentional destruction). I go beyond our own research in the burned houses of Neolithic Southeast Europe to apply some of what we have learned and consider the significance of using fires in other historic (and prehistoric) contexts, such as Çatalhöyük. Tringham, Ruth (2013) Destruction of Places by Fire: Domicide or Domithanasia. 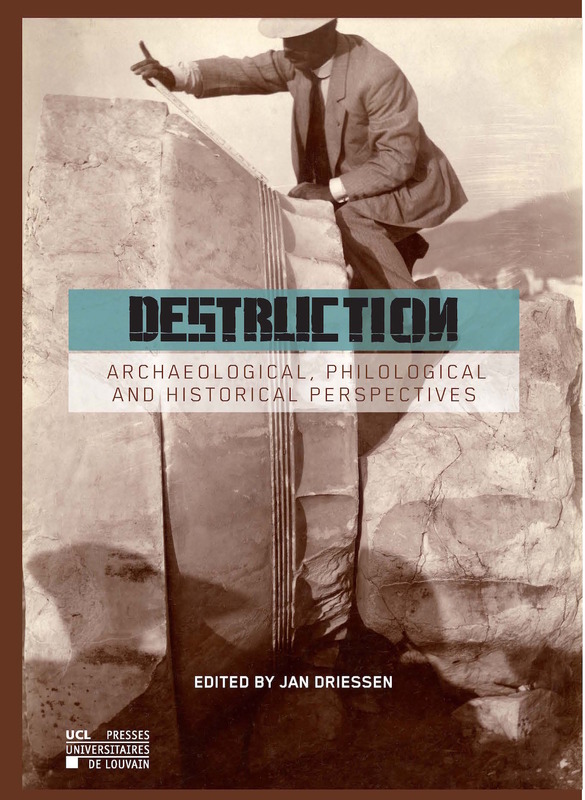 In Destruction: Archaeological, Philological, and Historical Perspectives, edited by Jan Driessen, pp. 89-108. Presses Universitaires de Louvain, Louvain, Belgium.